You might wonder why we would provide a Song Service Lineup. After all, isn't that the job of the Music Minister? That is true, but not all churches are large enough to have a full-time minister of music, and often the music director or song leader is a volunteer who has a full-time job elsewhere. This often means that a few days before Sunday morning service, these hard-working, dedicated music leaders are trying to figure out what songs to sing on Sunday. Sometimes, the pastor may share the sermon theme for each service, but often the song leader tries to listen to the Holy Spirit's direction for the songs. For years I've been the church pianist and keyboardist at different churches, just playing the songs that someone else would pick out. However, at other times putting together the song service lineup for both Sunday morning and Sunday evening services was my job. Often I would find myself going for the old faithfuls, those songs that the congregation seemed to really like, while other times I would find myself choosing songs because I had a theme. Then there was the conundrum of whether we would just do the new songs and choruses, or whether we also stick in the occasional hymn into the song service lineup. Having grown up in church, I can remember a time when there was a hymnbook at every seat. Every song service we would sing several hymns, and occasionally a chorus. Then gradually the hymnbooks were replaced by overhead projectors putting the words to new choruses on big screens at the front of the church. Nowadays, there are jumbo screens at the front of the church and the words are displayed against a background of flowing water, mountains or magnificent sunsets. No one uses a hymnbook anymore, and often the songs are only used once, with each week bringing a newer song. Unfortunately, there's often a segment of any congregation that gets left out and that's those folks, usually with gray hair, who grew up singing hymns. In fact, you should try an experiment in your church next Sunday. Put a couple of old hymns in the song service line up. I guarantee that some of those folks who tend to look a little lost and maybe don't even bother to sing the newer songs, will belt out those hymns with gusto. Suddenly you'll see life in their faces and hear the joy as they sing "Praise Him! Praise Him!" or "Joy Unspeakable" or even "When We All Get to Heaven". I have found that by combining some of the newer praise and worship choruses, with some of the older hymns that the entire congregation seems to enjoy the song service more. I've also found that most in the congregation don't want to learn a new song every Sunday. If they are struggling with the words and tune, they are less likely to be able to focus on actually worshiping the Lord. So when we introduce a new song, we then make a point of including it in the song service line up several times to allow the congregation to become familiar enough with the song to be able to relax and focus on the Lord. 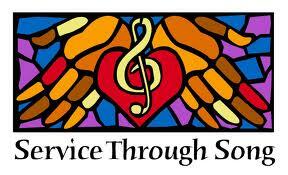 Here you will find a song service lineup for each week of the year; four or five weeks to each month. You will also notice that there's a Morning Service and an Evening Service lineup. If there's a theme for the service, we've also provided corresponding scriptural text to share. I've followed the basic format often found in song or praise and worship service line ups: A few songs or choruses of a peppier, more lively nature, followed by a break in the service. This time is usually when announcements are made, prayers requests or testimonies are shared and when the offering is collected. 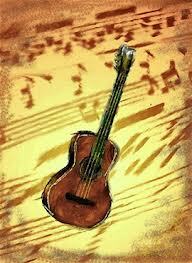 Then we provide a couple of choruses that are a little slower and of a more reflective, worshipful nature. These quiet, prayerful songs of dedication, commitment or praise, tend to prepare the congregation for hearing the Word of the Lord in the pastor's sermon. To find the lyrics, click on those song titles that are live links, or click on the Alphabetical links at the top and bottom of each month's page. Enjoy and may this help you in your service to the Lord and your congregation. Of course, these are not hard and fast, but only suggestions. You may find that the songs for the first week in October are perfect for another week in the year. Change them around and make the song service lineup your own.